Experts in Translation, Localization and Digital Marketing around the globe. in the translation industry and state-of-the-art technology. If you want to build a strong digital presence on the Web, we are the partner you need. ON is a digital Communication company based in Argentina, and subsidiary in Mexico. 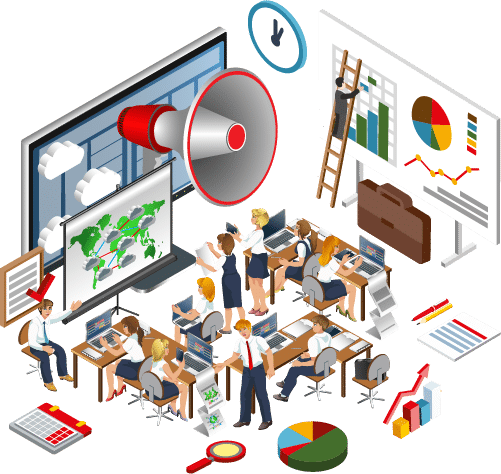 Our two divisions: ON Translation and Localization and ONLine Marketing could certainly help you build an effective digital Communication strategy to launch your products/services in the Latin American or US market. We help create experiences that engage. If you are looking to grow and expand your digital business, we are the right partner. Please contact us, we want to hear from you. Get onboard the communication era and promote your business. Experts in Global Services of Translation, Localization and Digital Marketing.